Large U.S. supplement manufacturer engaged Kennedy Creative to create a new premium line of herbal products to take advantage of an unmet need in the supplement category. The challenge was to offer a new herbal brand that featured the health advantages of herbal ingredients as well as the formulation quality standards that consumers desired such as no sugar, colors, artificial flavors, sodium, wheat, gluten, dairy, yeast, etc. Developed an alternative to an amber glass bottle with eye-catching package to disrupt the category. Multidimensional way to shelf product, packaging could be hung or could sit directly on shelf. Plan for branding, naming, imaging, positioning, and messaging. Based on the business opportunity and market approach, the new brand was a tremendous success. 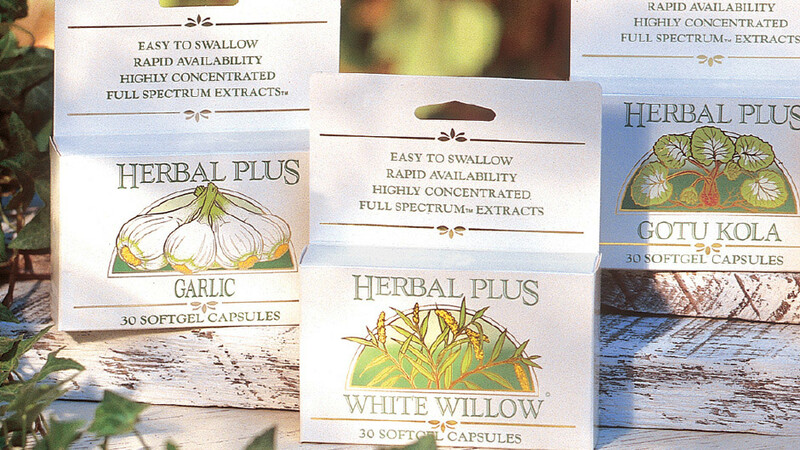 The client desired a product line that would establish and maintain its brand identity in the herbal supplement category. The brand captured a large share of the emerging herbal supplement market based on loyalty and quickly grew from 7 SKUs to over 40 SKUs. Kennedy Creative created the name, high-end package structure, and imaging concepts that still remain elements of subsequent re-images of the product line. Best of all, the now 50+ SKU brand is still generating 7 figure sales.